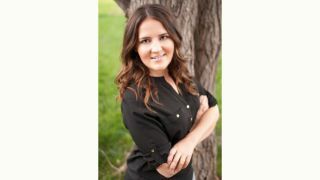 CI Edge, a buying and best-practices group designed to support middle-market commercial technology integrators, has welcomed Sarah Lind to its Colorado-based team as director of administration. She will work closely with CI Edge’s executive team supporting the daily operations and functions of CI Edge. Lind has more than 15 years of experience in administration, project management, and customer service. Her most recent stint was spent managing the web-based employee training system at Centura Health. CI Edge emerged in the fall of 2015 as the only buying group supporting commercial technology integrators with under $10 million in annual revenue. Members have access to benefits that equip them with an edge in the technology integration marketplace. Benefits include receiving national account pricing with CI Edge Preferred Partners; direct volume rebates earned through purchases with CI Edge Preferred Partners; getting elevated backend support with CI Edge Preferred Partners; participating in events with other CI Edge Integrators focused on collaboration, education, and best practices; and increasing business footprint by networking with a national group of commercial integrators. For more information, or to become a member, visit the CI Edge.com.